Happy Fourth of July! While you’re busy enjoying the extended weekend, many American brands have been busy creating cool campaigns and displays that are bursting with patriotic spirit. From emails to POS displays, we’ve rounded up some of our favorites and we hope they’ll inspire you for next time. 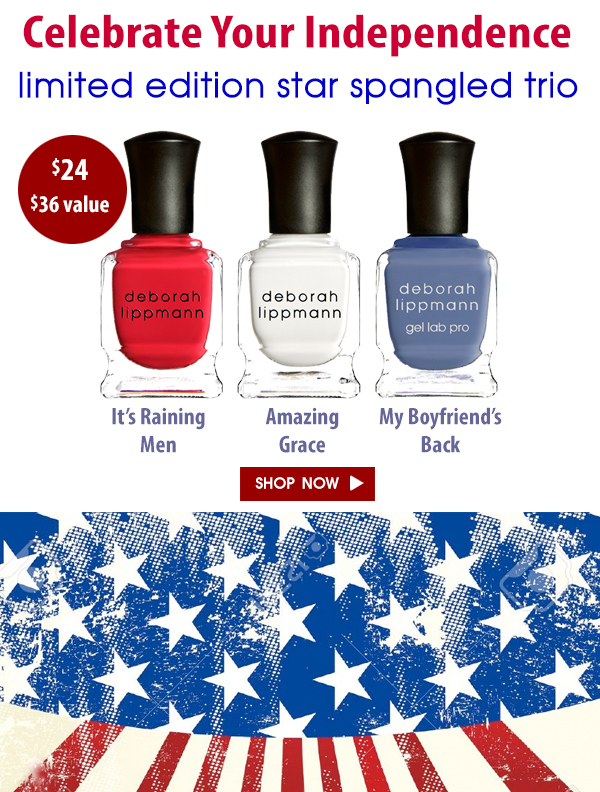 Celebrity designer Deborah Lippmann launched a limited-edition range of nail colors, called the star spangled trio, dedicated to the shades of the American flag. The brand used email as the channel to promote its collection and we just love the creative. With a string of omnichannel retail customers, we know it’s not always online campaigns that have the most impact. 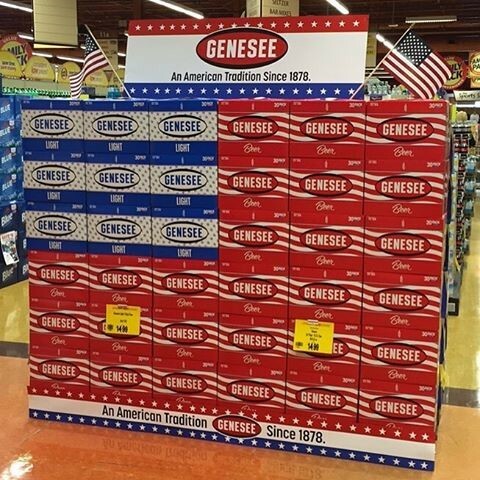 Here, Genesee used a combination of its heritage, product range and brand colors to create a special packaging design that promoted its beer as the perfect Fourth of July accompaniment. This display was spotted in Wegmans. Department store Kohl’s created an awesome animated GIF that was posted on its social networks. 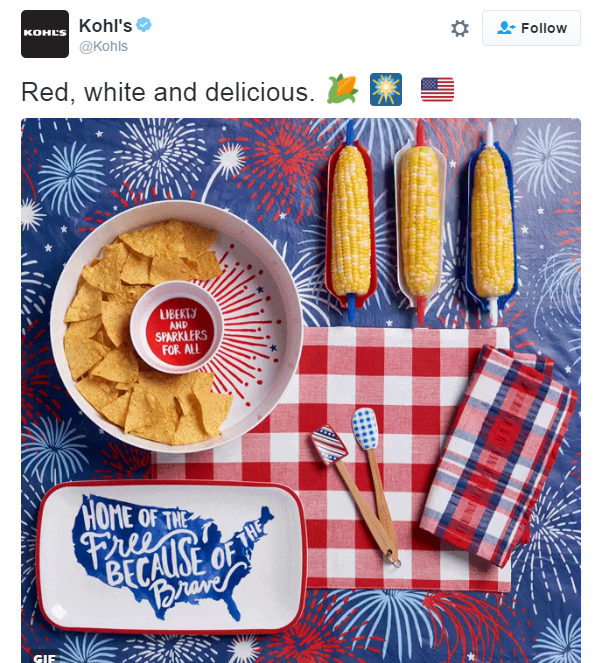 The GIF neatly showcases a range of the brand’s Fourth of July-themed products, and we like the cool, understated copy. 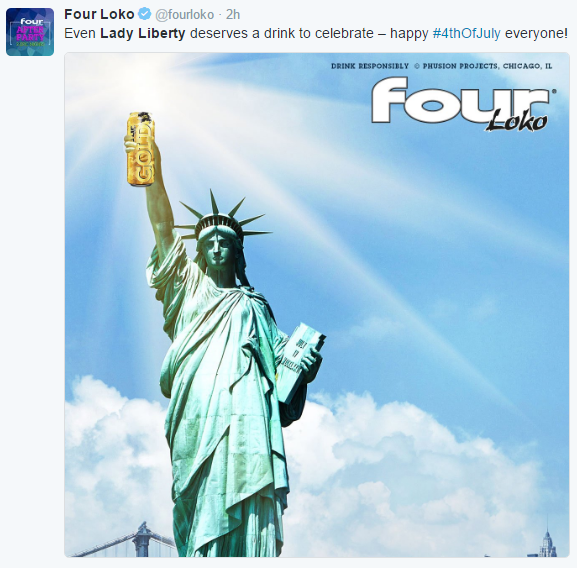 We weren’t surprised to see America’s beverage brands going for gold on the Fourth of July – like this tweet and creative from Four Loko. Its design team had some fun with this one. Everyone needs a little inspiration sometimes. That’s why we were pleased to see that video streaming site HBO NOW gathered some super-relevant picks and delivered them straight to customers’ inboxes on July Fourth. Naturally, all the movie and show recommendations had an aptly American history or politics theme. If you’re looking for some more marketing inspiration, we’ve a library of free guides to help you develop your strategy. Have you seen any awesome Independence Day marketing campaigns? Let us and others know by leaving a comment below.